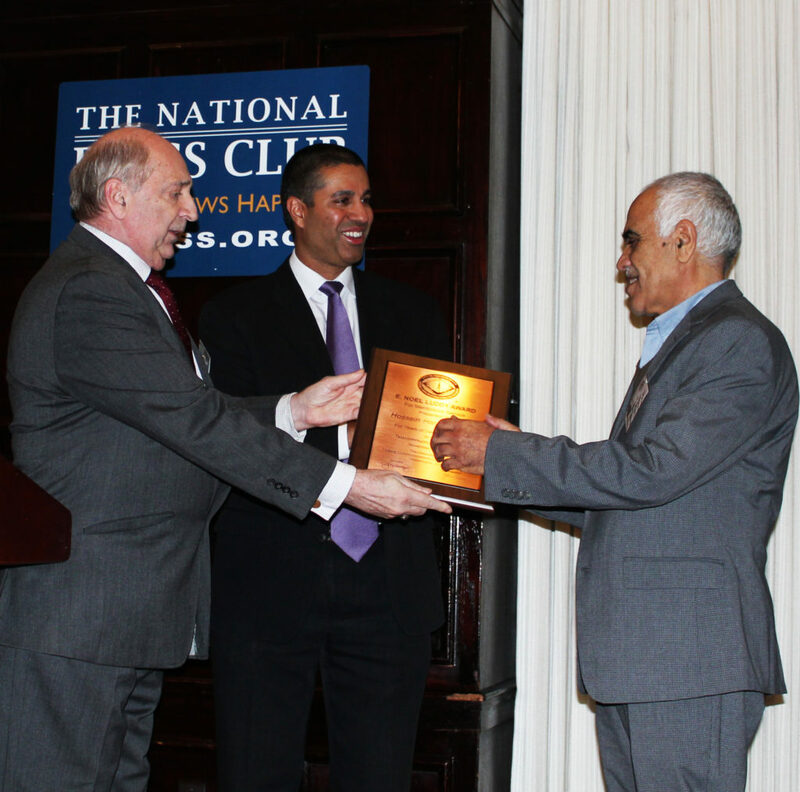 Hossein Hashemzadah was presented with the E. Noel Luddy Award for years of meritorious service to the telecommunications industry. Hashemzadeh is Deputy Division Chief, in the Video Division of the FCC’s Media Bureau. 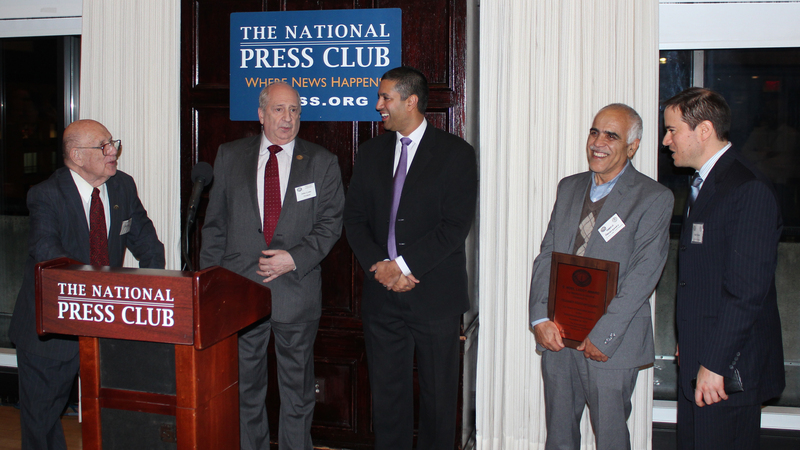 The award was presented November 28 at the Association of Federal Communications Consulting Engineers’ annual FCC Reception, held at the National Press Club by AFCCE President John Lyons. In his introduction of this year’s honoree, FCC Chairman Ajit Pai, recalled the time from when Hossein joined the FCC thirty-six years ago to the present day and told anecdotes on Hossein’s career and spoke of his prestige within the FCC. Addressing the crowd of AFCCE members and guests, and FCC colleagues, Hashemzadah thanked the AFCCE for bestowing the award and expressed admiration for his colleagues and briefly spoke about his time at the FCC. Hossein Hashemzadah joins a distinguished list of previous Luddy award winners that includes John Reiser, the first E. Noel Luddy awardee, and 2017 honoree Rudy Bonacci, both pictured here with Chairman Pai and AFCCE President Lyons. This year AFCCE through it’s scholarship funds gave out $42,500 in scholarships, including the E. Noel Luddy Scholarship, to Juniors, Seniors and Graduate students studying in the field of Telecommunications.